I am going to start off this post by telling our readers a huge secret about me: every single day I feel like a failure as a mom. Some days I yell too much, others I let my daughter eat too much junk food, and sometimes I push her too hard to succeed. Once in a while I snap without thinking first, I often am not patient enough, and too many times I ask her to wait to show me something so that I can finish whatever I am doing. Sometimes I let my daughter play with electronics for too long, I have sent her to bed early so that I could have time to myself, and there are many days that I get completely overwhelmed. At the end of every single day I tend to think back on everything I could have done differently and about the things that I think I didn't do to the best of my ability. Thoughts questioning myself flow through my head - did I do enough with her, did I teach her something new, is she happy, did I love her enough? And then we go to sleep and do it all again the next day. 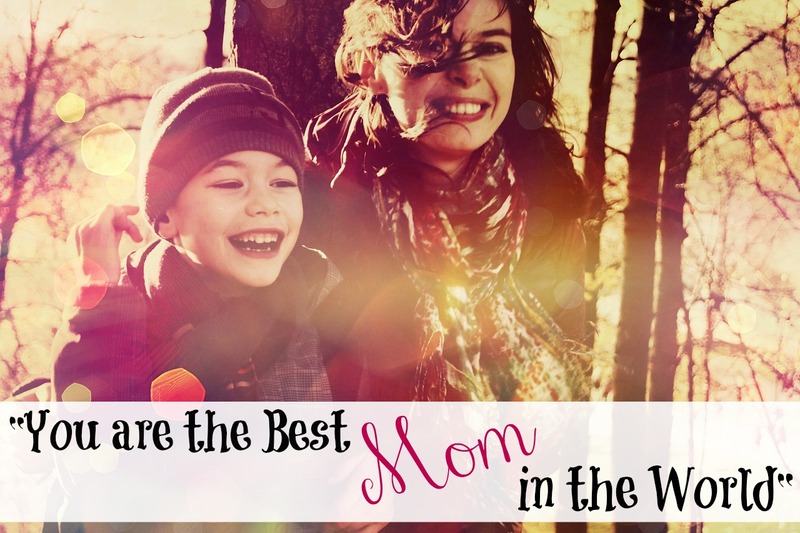 One day, in the middle of all of my self-doubt, my daughter looked up at me and said "you are the best mom in the world." and over and over since then she has said it. Every time she would say it I would always say “thank you” but in my head there were thoughts questioning how she could possibly think that I am the best mom in the world. And then one day it came to me - Sometimes I do things that I may look back on think I could have done differently. I have days that I make mistakes and days that I know could have been better. But I am much harder on myself than my daughter is. My daughter recognizes the love, not the moments of weakness. She doesn’t dwell on the times that I am not my best self, like I do. She pays attention to more than the times that the stress of life makes parenting more difficult. She notices all of the amazing things that we do together, all of the time that we spend with each other, all of the little moments packed with thoughtfulness. She sees me as “the best mom in the world” and tends to remind me of it when I need to hear it the most. So moms, whether you realize it or not, even in your worst moments, you are the best mom in the world for your children. And even in the moments that you are being too hard on yourself they see the love, they see the mom who would go to the ends of the world for them. As long as you're doing the best you can with your child you will always be the best mom in the world and from what I've seen, you're doing one amazing job!